Commissioned art isn’t just for Renaissance lords and ladies! 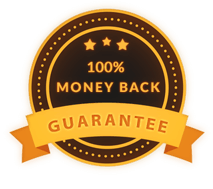 Every day, people are commissioning original art from artists to use as home decor, gifts, avatars, and more. Discover how people have been using ArtCorgi in fun, creative ways. 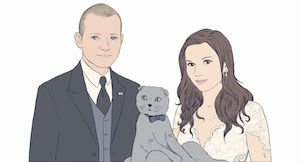 Irit commissioned art featuring herself, her fiancé, and her mini-celebrity cat to make her wedding invites unforgettable. 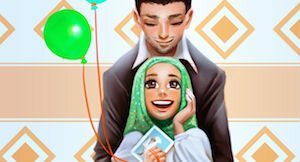 Ghina commissioned a portrait of her best friend with her husband to give her a birthday gift she knew she didn’t already have. Malcolm commissioned the most ridiculous portrait he could imagine, featuring himself riding an armored corgi into battle. 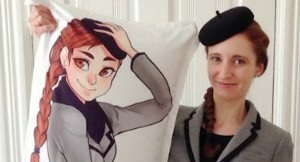 Simone commissioned a life-sized body pillow of herself to give to her fiancé on their second anniversary. Irit wanted her wedding invitation to stand out and be memorable, so she decided to commission a portrait to feature on each card. She had always wanted to have a portrait done, anyhow! 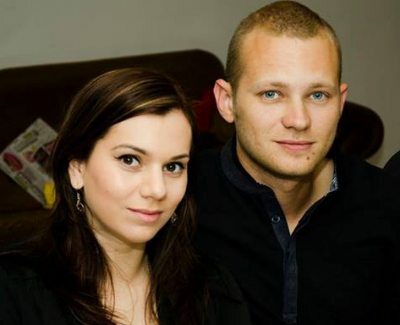 Though Irit’s Scottish Fold Cat, Marcus, is beloved amongst her friends, he would be too afraid at a large wedding… so having him on the invitations enables him to be present in spirit. Ghina’s best friend recently learned she is expecting her first baby, so to celebrate her birthday, Ghina wanted to commission original art that commemorated the happy discovery. When given a draft to review, Ghina had the opportunity to work important personal details into the piece, such as a pattern inspired by fabrics local to her friend’s home. Ghina had the art printed and shipped to her best friend (who lives in another country), where it will decorate the walls of the soon-to-arrive baby’s nursery. One perk associated with having yourself drawn or painted rather than photographed is that you can appear however you like. That includes putting yourself in outlandish scenes that would be impossible to replicate in person. To ensure that the commissioned turned out to his liking, Malcolm provided a large number of high quality reference photos and detailed notes on what he would like, so his artist knew exactly what to work into the image. As soon as Malcolm shared his commissioned painting, it became one of his most-liked Facebook posts. 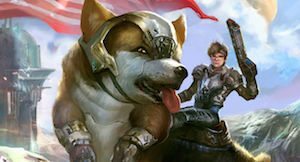 Suffice it to say that it is not every day that an image of your friend riding an armored corgi shows up in your News Feed. Neha wanted to give her parents a gift for a big wedding anniversary, but had trouble finding something they didn’t already have. She decided to commission original art, as it’s something she knew would be new. Neha had ArtCorgi artist Aurora Foo re-create a romantic vacation her parents had at a beautiful lake in India. She provided a mixture of old photos of her parents and reference photos of the lake for Aurora to use as reference images. 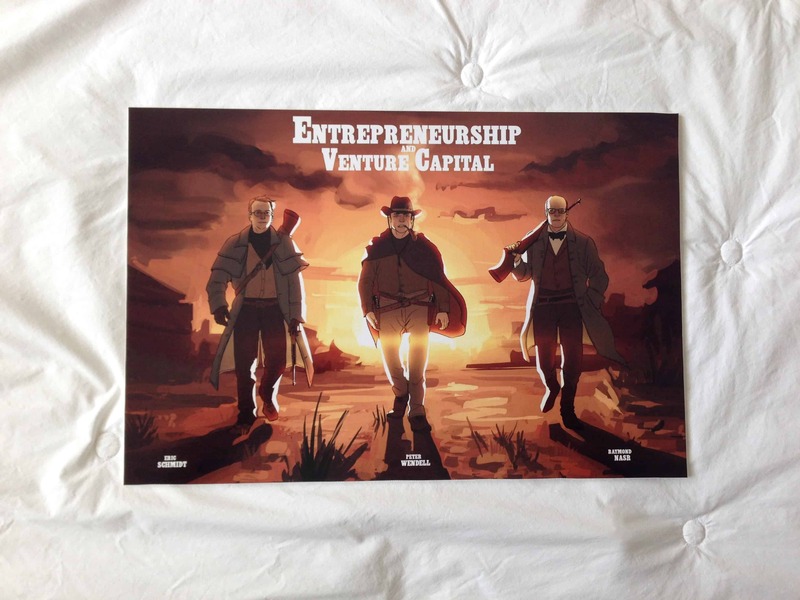 Neha, who lives in the United States, was able to save money shipping a print of this commission to her parents by having it printed, framed, and shipped by a local printer. 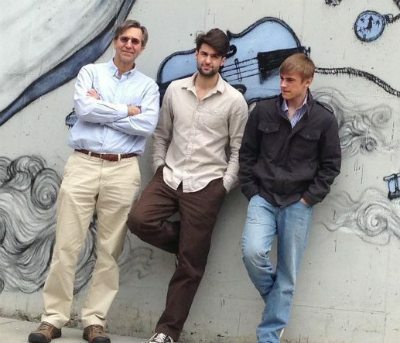 Nicholas had a photo of himself with his father and brother that his mother loved, but wanted to make it more special as a Mother’s Day gift. Turning it into a work of art was an easy solution! 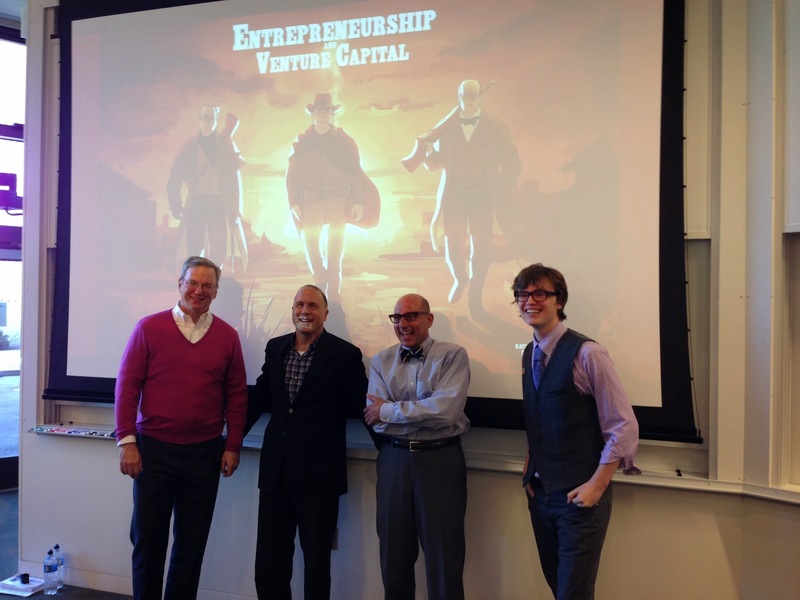 Malcolm commissioned a movie poster-style painting of his professors to commemorate his favorite class at Stanford Business School. When he surprised his class with it in a final presentation, they went wild. Malcolm worked closely with his artist, FlyingCorpse, to develop a work of art portraying his professors in an epic manner. 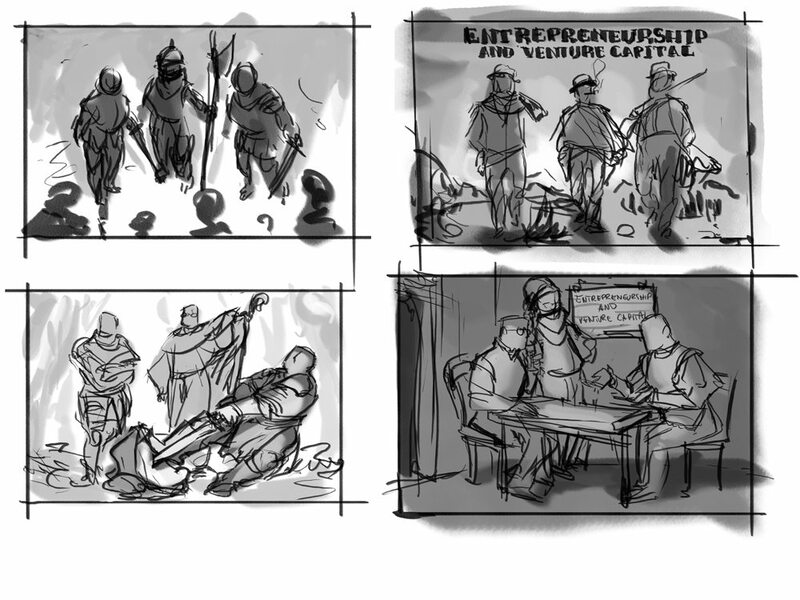 FlyingCorpse presented him with four rough sketches featuring different scenarios for him to choose from. Malcolm had canvas prints of the final commission mounted on matboard that he gave to each professor, thanking them for the excellent readings, class discussions, projects, and office hours advice. Though ArtCorgi offers a lot of highly stylized, colorful, and bold art, Nate chose a beautiful, timeless style by Megan Crow – something every member of his family would enjoy. Getting a family portrait in which everyone is smiling is not easy- especially when kids are involved! Nate simply submitted photos of each one and Megan created a heartwarming portrait featuring them all! Though this particular work of art was commissioned as a gift for his wife, Nate can turn his commission into wall art (by having it framed) or a family holiday card (by printing it on a folded card). Simone started by commissioning a playful portrait of herself from Ashley Swaby in an anime-inspired cartoon style that she knew her fiancé would like. Determined to make her gift unique, Simone went for a print option (a pillow case) well off the beaten path! 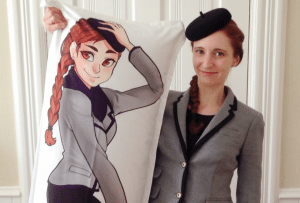 Though Ashley Swaby’s portrait was initially made for the purposes of creating a life-sized body pillow, Simone can easily re-use the art as a social media profile photo, stationery design, or whatever else she pleases.